Frozen pipes are a disaster wrapped in a catastrophe. They’re expensive and pose a high risk of extensive damage. Water damage can lead to secondary problems like mold, and can just plain ruin prized objects. 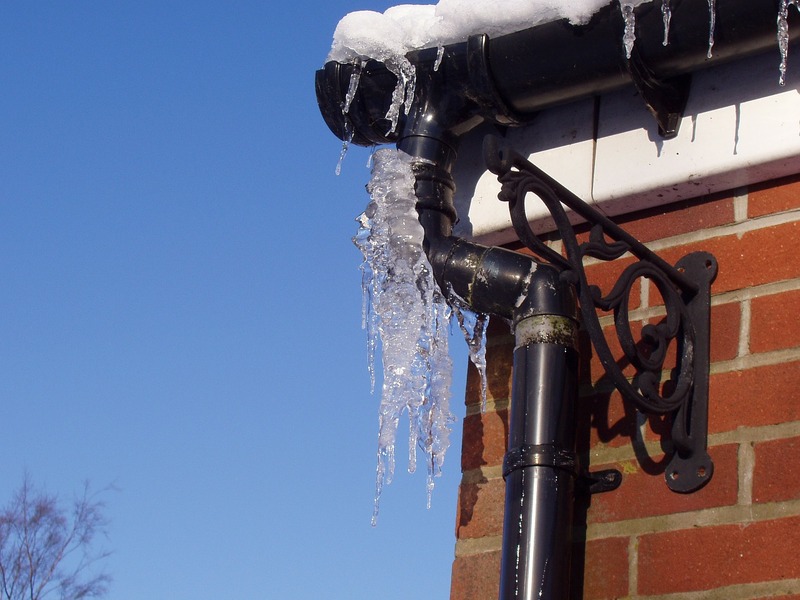 Here are some warning signs that your pipe are at risk of freezing. If it’s getting cold outside (or inside), check the thermostat to see what you’re dealing with. Unusual cold snaps can cause a lot of headaches for homeowners who just assumed their pipes were fine. If you live in a warmer climate where it seldom if ever freezes, you’re especially at risk when it does. Homes in your area are probably not built to keep pipes from freezing. The same way that few homes in Florida have snow roofs, few buildings will be built to protect interior and exterior pipes from the brute force of cold. If the thermostat is dipping into the mid to low thirties, you’re at risk of freezing pipes. If you have exposed pipes inside your house you can check for freezing with a simple touch-test. Move you hands along the pipe and feel for a “cold block” inside the pipes. Ice will begin to form and stick in one spot on the pipes. That’s where the water would freeze. If you run your hands along the pipe and find this sudden cold pot (ice cold, you could say) you need to warm that pipe up pronto. Open the valve to let the water move through the pipe as this will also help prevent freezing. Then warm the pipe up with whatever you have short of an open flame. A space heater and a hairdryer are both excellent ways to quickly but gently warm up a freezing pipe. In areas where frozen pipes are as common as snowflakes, the houses and other buildings keep the interior pipes warm. The heating system will promote warm air flow in the basement and the attic to prevent pipes from freezing. When the temperature drops, look sharp for warning signs. You risk frozen pipes. Ice doesn’t go from free-flowing to a solid block in an instant. It starts out a sluggish slurry and slowly builds up along the walls of the pipe. If you turn on your tap and you only get a trickle, leave your line open. Flowing water is harder to freeze. Try to trace the pipe back through your building or out onto the property. You should try to melt the ice inside the pipe if you can find it. Even if you can’t, the flowing water will lessen (but not remove entirely) your risk of frozen pipes. There are many warning signs that your pipes are freezing. Keep your eyes peeled for any of these signs this winter. If the temperature is getting colder, your pipes are at risk.